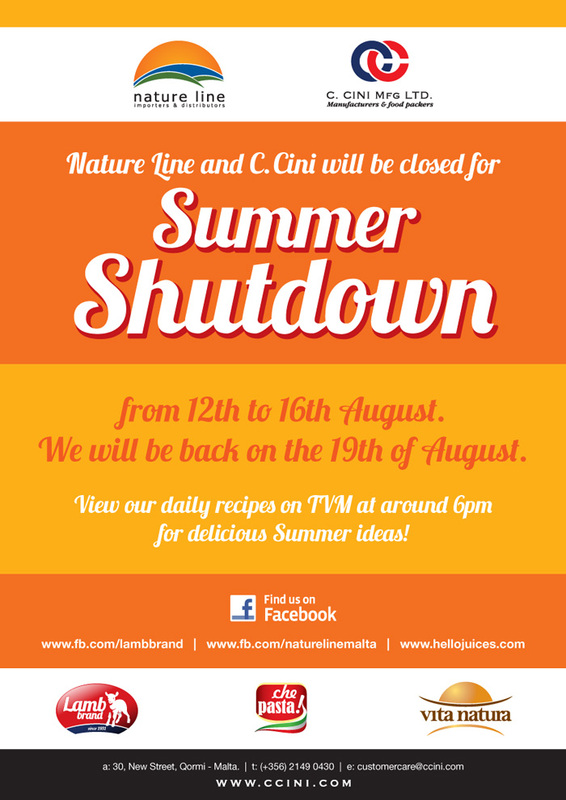 Nature Line's offices will be shutting down for a week from 12th - 16th August for a well deserved Summer Break! Everybody loves some summer fun and so do we! Don't forget to follow our daily Lamb Brand Recipes on TVM at around 6p.m. for lots of cooking ideas. If you have an queries while we are away simply contact [email protected] and we will get back to you as soon as we return from our holidays. Wishing everyone a lovely summer from all the management & staff at Nature Line Ltd.